William (Bill) Joseph Walter, age 68, passed away unexpectedly Tuesday, January 22, 2019 with family by his side. Bill was born in Appleton on October 26, 1950 to the late John and Eunice (Belling) Walter and the 6th of 11 children. 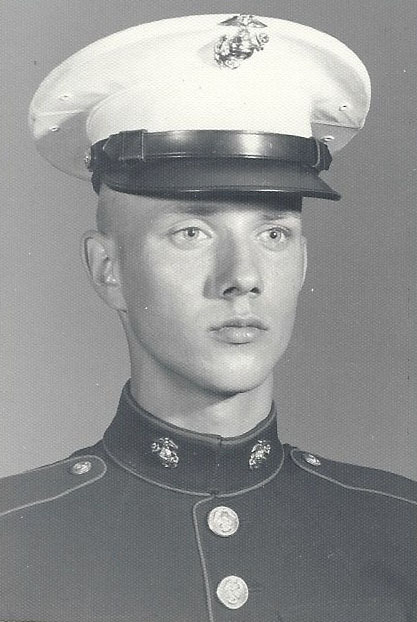 Bill was very young when he served our country as a Marine in Vietnam. He worked most of his life as a Mason. He did excellent work and took great pride in it, often doing stone work for family and friends even after retirement. Bill is very loved and will be dearly missed by family, friends and his dog, Lily. He was generous, caring and had a wonderful sense of humor and great taste in music. Bill is survived by his wife Sheri and their children: Vickie Walter, Trish Walter, Amanda (Nate) Wells, Laurie (Gary) Nelson, Linda (Eric) Lucy and Jason (Jolene) Burke; grandchildren: Ashley (Josh), Jordynn, Cobin, Liam, Gary Lee, Chelsea, Gary, Josh (Bethany), Jack, Kristine (Michael), Rumor, Brooklyn, Breylyn; great-grandchildren: Harper, Harrison, Preston, Olivia, Cambria, Parker, Orien, Delaney and Leo. Bill is survived by his brothers: John Walter, Jim Walter and Steve Walter; his sisters: Sharon Hanson, Helen Schmidt, Gloria Zabinske, Carol (Don) Bishop, Connie (Bob) Smith, Kathy (Andy) Blakeslee and brother-in-law Harry Thiel; his brother-in-law and close friend, Harley Halverson, brother-in-law Bob (Kay) Templin and sister-in-law Michele Templin. Bill also had many loving nieces, nephews other relatives and friends. Additionally, Bill is preceded in death by his parents, His dear sister, Barb Thiel, who is recently deceased, sisters-in-law: Pat Walter, Chris Walter and Nancy Halverson; brothers-in-law: Helmut Schmidt, James Hanson and James Zabinske. Memorial Service will be held on Sunday, January 27, 2019 at 2:00 PM at Valley Funeral Home 2211 N. Richmond Street Appleton, WI 54911. Rev. Patrick Wells will officiate. Visitation will from 1:00 PM until the hour of service at the Funeral Home. Military Honors to follow the service. We will carry Bill in our hearts and memories. We hope that his generous gift as an organ donor will help others in many ways. A special thank you to the ICU staff and nurses at St. Elizabeth Hospital for their care.